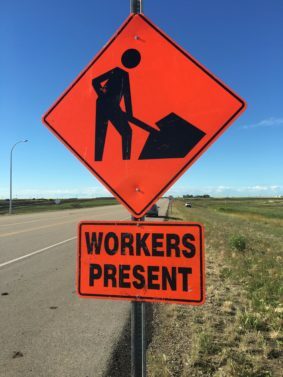 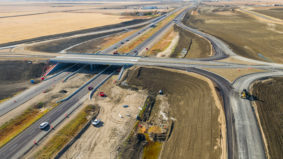 The Regina Bypass consortium is proud to partner with the Saskatchewan Ministry of Highways and Infrastructure to build the Regina Bypass. 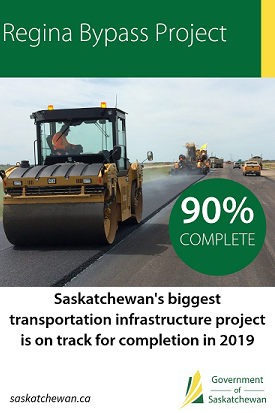 This project, the largest transportation infrastructure project in the province’s history, is vital to ensuring the continuing economic prosperity and vitality of Saskatchewan and of the Regina region in particular. 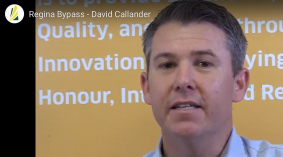 Meet David Callander - one of the original Regina Bypass team members. 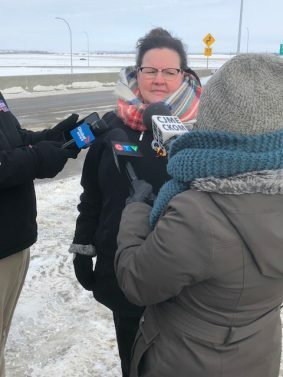 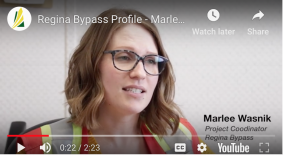 University of Regina graduate Marlee Wasnik discusses her role on building the Regina Bypass, Saskatchewan’s largest transportation project. 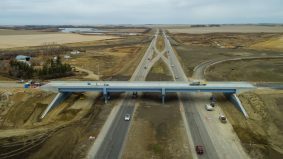 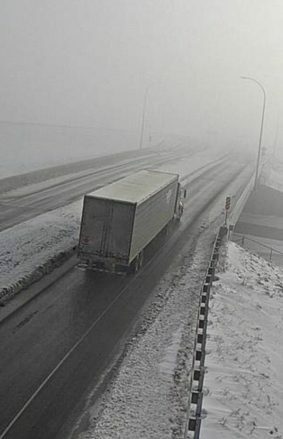 Pilot Butte Overpass Now Open. 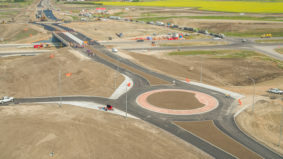 Wanda Campbell talks about new interchange. 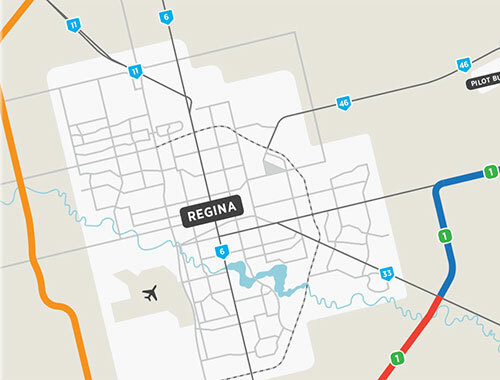 For all the latest construction updates follow @reginapass on twitter. 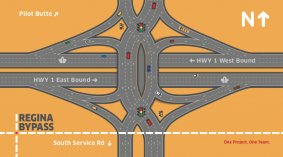 Before you travel, check out the Highway Hotline.